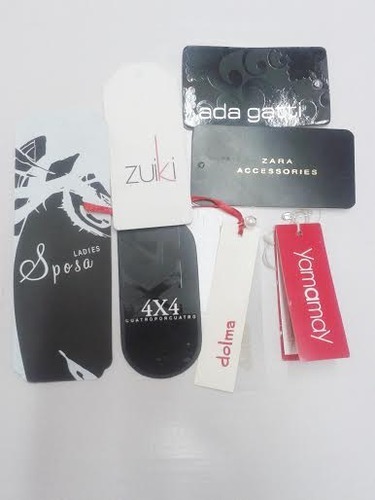 In order to cater to the variegated needs of commercial sectors in context of products’ information, Printed Tags are offered. Under the specific range, we have introduced printed tags with qualitative features. Owing to their excellent adhesion strength and clear visibility, these tags are used widely in the market. Print Wave is a prominent Manufacturer, Supplier and Exporter of Printed Products. We provide a wide range of Printed Products such as Printed Boxes, Printed Leaflets, Printed Tags, Printed Labels, Printed Mono Cartons, Printed Header Cards, Printed Paper Bags, Tharmal Barcode Printed Stickers, Printed Catalogues, Printed Brochures ,Printed Posters and Printed Office Stationary. The company was established in the year 1999 and has set up its base in U.P. India. The Director of the company Mr. Manoj Luthra, has an experience of 20 years in this field and with his hard work has taken the company to new heights. We are dealing with different BUYING AGENCIES /AGENTS and export houses from the last 12 years.